Walkabout Cultural Adventures are 100% locally Aboriginal owned and operated tours by Juan Walker, who has been guiding in the region for 15 years. Juan prides himself on providing top quality service, information and guiding. 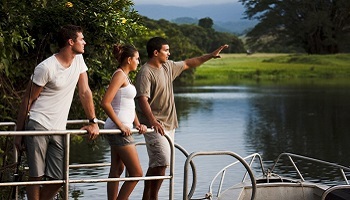 The business currently provides unique tours within Kuku Yalanji country, focusing on Aboriginal culture, significant sites, environmental information and local tourist attractions, whilst being an educational and interpersonal Aboriginal cultural experience. Juan’s ambition to further develop the business and create employment opportunities for further Aboriginals, proud to share their land and culture. Learn about the amazing relationships the Kuku Yalanji still have with their land. 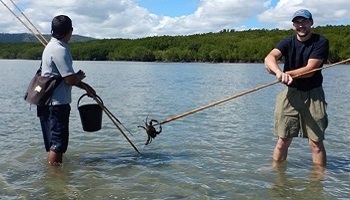 Tours may visit the majestic Daintree rainforest and coastal habitats learning about the environment, different foods and medicines utilized from nature, sample some bush tucker, collect shellfish and try traditional Aboriginal hunting practices, have a go at spear throwing and if you are lucky, catch a mud crab. Learn the history, culture and traditions of the local Aboriginal people and the area. To complete the adventure cool off in a pristine freshwater stream.